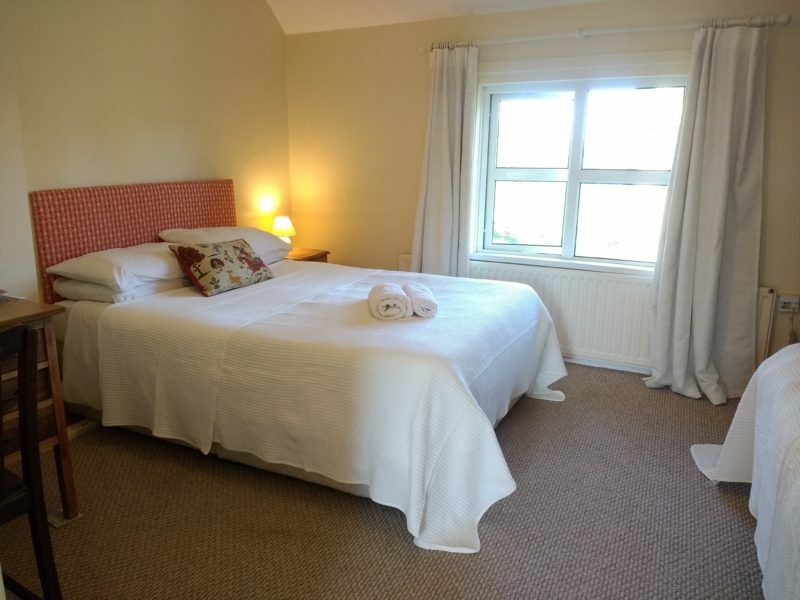 Lisieux House B&B Farm in Lough Neagh - Book today at best price. Lisieux House is a 200-year-old, a traditional farmhouse surrounded by 2 acres of beautiful, organic gardens. We run the site in an environmentally friendly way, aiming to live as sustainably as possible. Our guests invariably love the relaxed and welcoming environment we have created here and our location, nestled on the beautiful Lough Neagh, means that all visitors are but a stone’s throw from the many wonders and activities of the biggest inland lake in Britain and Ireland. Being members of World Wide Opportunities on Organic Farms we welcome volunteers from across the globe to help pick our fruit and vegetables in the Summer. If you are keen to get involved or would like to know more, check out our volunteer information page. Room Rate £45 Per Night, Including Breakfast. 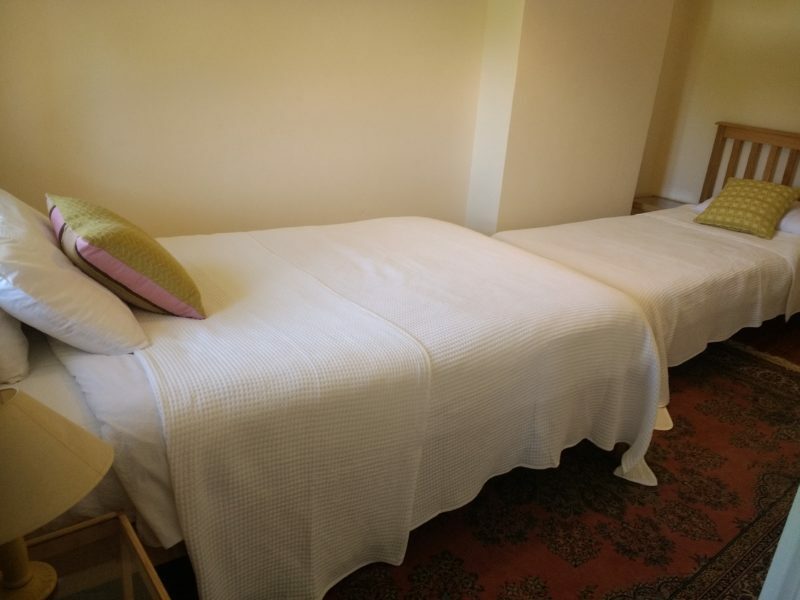 With a large comfy double bed and an additional single bed to cater for a total of three visitors. Room Rate – £50.00 Per Night, Including Breakfast. Our pride and joy is the beautiful organic garden at Lisieux House. It is the perfect place to relax, pick some fruit or light a barbeque. It is set in an acre of land. It has a vegetable plot with some raised beds, blackcurrant bushes and a wonderful crop of strawberries. 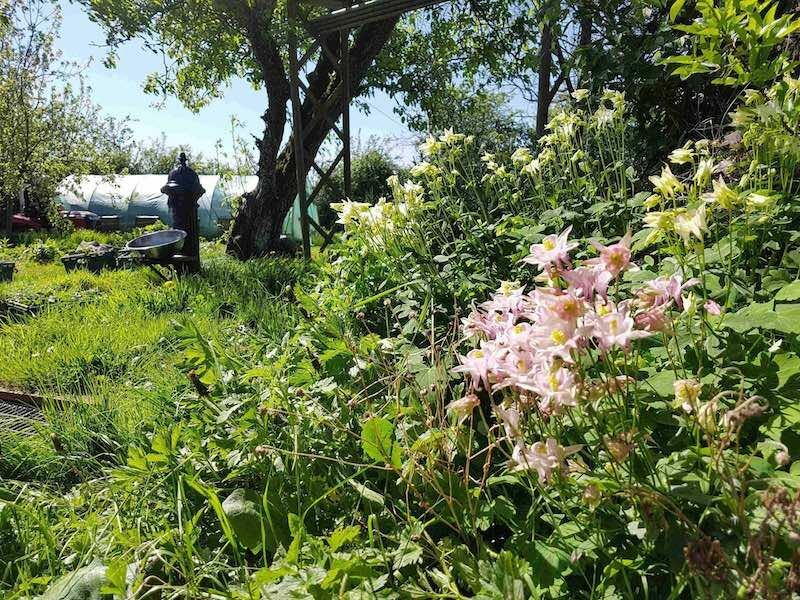 In addition Edwin has planted a variety of native trees, he has a vine growing in the polytunnel, a very productive fig tree on a south-facing wall and a number of fruit trees including apples, pears and plums. The garden provides many of the fruit and vegetables that are used in the house. Lisieux House has volunteers who come in the summer to help in the organic garden. They come through WWOOF – Worldwide Opportunities on Organic Farms. Our garden depends heavily on the WWOOF volunteers who undertake much of the transplanting, watering and weeding that is required. 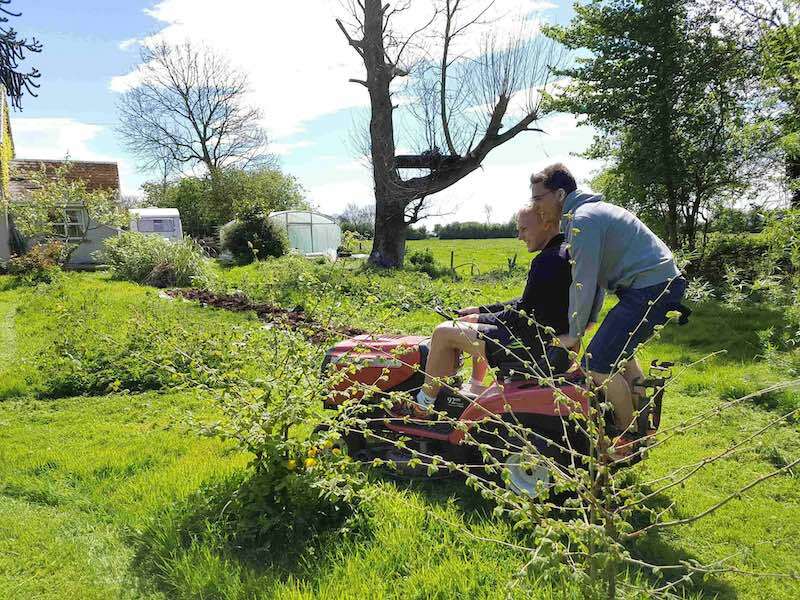 Most of our WWOOF volunteers are between 18 and 25 and from other European countries so it is not unusual to hear Spanish, Italian, French or German being spoken in the garden. When they aren’t working the volunteers will often be found playing games in the garden or on canoes on the lough. Book with us directly to receive our best rates and perks. Contact us directly for the best rates and discounts! Lisieux House is located on the southeastern shore of Lough Neagh on the Derrymore Road, B156. As you drive along the Derrymore road heading south you will see the lough on your right. On the left you will see the primary school. After the school there are a couple of bungalows and then a large newly built development of 2-storey houses. Immediately after the housing development you turn left into our driveway. Our house is not visible from the road, it is about 300m up the drive.